4 Bedroom Detached House For Sale in Lyme Regis for £599,950. This property's price has dropped from £642,950 to £599,950. 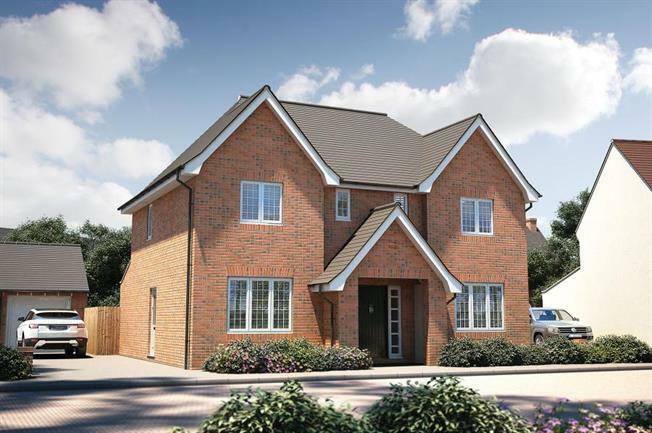 Designed to impress, the Thornsett is an exquisite four bedroom detached family home featuring an impressive double frontage with garage and spacious living throughout - perfect for larger families or those who enjoy the extra space. The ground floor offers complete luxury with a bright & spacious lounge, ideal for relaxing which features a beautiful set of french doors opening out onto the rear garden. Offering ample amounts of space, you will discover a separate, elegant dining room, great for hosting dinner parties and a separate study / home office for times you need on your own. Moving towards the rear, you'll discover the social hub of the home; an impressive open plan kitchen / breakfast / family area. Making cooking a fun activity, rather than a chore, this multi-functional area brings the family together and is filled with plenty of natural light thanks to a set of double French doors to the rear garden, and sky lights. To side of the kitchen there is a separate utility area for added convenience. Upstairs, the first floor accommodates four impressive, double bedrooms, two of which boast their own luxury en suite shower room, with the elegant master bedroom also featuring quality, fitted wardrobes. The first floor is complemented with a stylish family bathroom, complete with contemporary Roca sanitaryware and chrome fittings.